4. 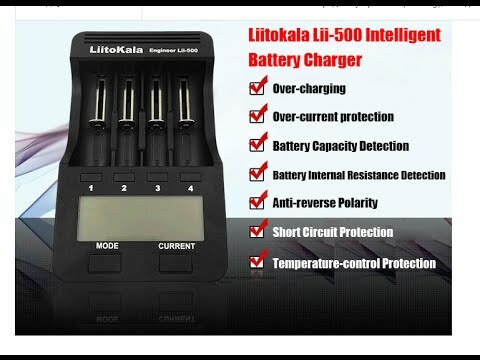 Under charge mode, 4 channel work independently, you can select different charging current for charging and Hunching lithium-ion batteries and nickel-metal hydride batteries. 8. 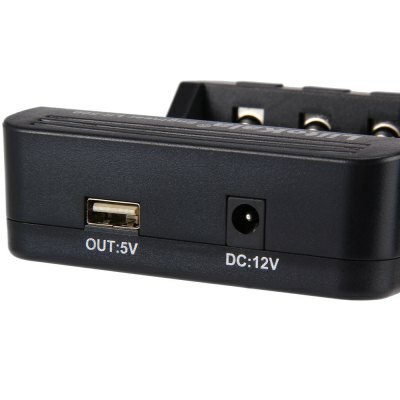 A variety of protection functions: overcharge and over discharge, short circuit, temperature, 0V voltage activation function, (- ?V & 0?V), 1.65V-2.2V can not be charged, intelligent recognition bad battery and reverse-battery detection protection. 9. 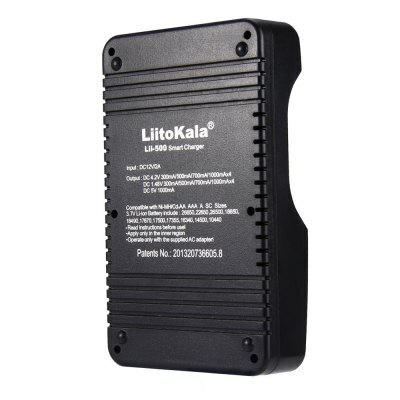 With standard 5V / 1000 mA USB output: from 1 to 4 lithium batteries lithium batteries USB output is completed, the product can not be nickel-metal hydride battery with USB output. 2. Hold down the MODE key in any case and held for 3 seconds to change the CHARGE (charge) mode or FAST TEST, NOR TEST (capacity test) mode, then tap again corresponding to the function keys can be changed within 8 seconds, to current, independent, Hunchong, capacity test, the selected function after 8 seconds into the working state, in working condition can tap the (1234) key to view the current (mA) / capacity (mAh) / voltage (V) / time ( h) / resistance (mR) data reference. 1. 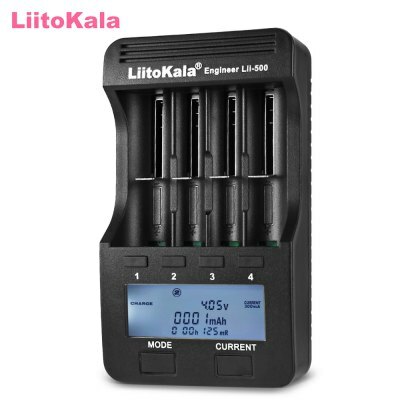 When the power is turned back into the battery charger, 8 seconds touch (mode key MODE) Select (FAST TEST rapid capacity test mode), then press (current selection key CURRENT) to select the current system 8 seconds after the lock of your choice to work. Quick Reference Table a capacity test procedure is the first battery is discharged, then the battery is fully charged battery in order to detect and record the battery capacity. 3. After entering the NOR TEST mode, you can select the current key (CURRENT) select 300mA, 500mA, 700mA within 8 seconds, or 1000 mA current, the current system is locked after you select in 8 seconds, if in this 8 the second, did not make the set, then the system will automatically lock 500mA current charging (when selected current is the default charging current is automatically selected when the discharge discharge current 250mA), in which within 8 seconds, Select 700mA or 1000mA current charge, will automatically select the discharge current of 500mA discharge. 4. When the battery is full, the system automatically to discharge, the discharge current to system defaults (select the charging current relationship), and record discharge data to detect the battery capacity, when the screen appears, capacity test mode is finished, At this parameter LCD display is the actual capacity of the battery reference value;. 5. capacity test mode is finished, the charger will be selected current parameters again before charging the battery until full. 6. it can only be used in normal room. 7. This product test data for reference only, please refer professional equipment.